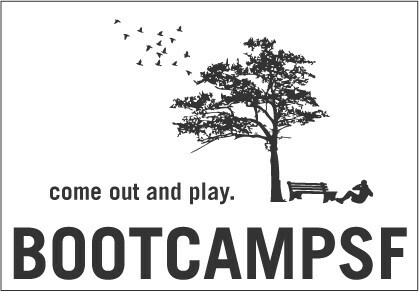 Start taking classes at BootCampSF and other studios! Please arrive to class at least 5 minutes early. Video with tips on how to prepare for BCSF: https://www.youtube.com/watch?v=oToP8h2gapI Equipment is provided. Water should be small enough that you don't mind jogging with it. Your keys and bags can be left in your instructors vehicle. There was a little confusion on meeting location due to the rain but was able to get in touch with the office and get half the workout in which still felt whole! The rain makes you feel more badass for sure! Great cardio and full body strength training workout! This was a great morning workout. It is for all groups. Perfect place in the park. The class was good. Perhaps a little unorganized. Don't feel like we got the full workout potential. Where was Brooks??? Q is great by I was surprised we got a new instructor.